Each year, 9,400 children are injured in lawn mower accidents, and 7 percent of those injuries involve amputations or torn nerves, according to the American Academy of Pediatrics. One-fifth of childhood amputations are caused by lawn mowers. Recently, an Ila, Georgia child lost her left leg below the knee and her right foot July 18, when her father accidentally ran over the child with a riding lawn mower. Unfortunately, this type of accident is becoming more prevalent in Georgia. Children’s Healthcare System of Atlanta, which includes Egleston and Scottish Rite, is treating three children who lost limbs in lawn mower accidents, according to Colleen Coulter-O’Berry, who’s worked in the system’s amputee program for 25 years. Nationwide, the estimated number of children with lawnmower related injuries, according to the American Academy of Pediatrics is 560 injuries to children each year. A tragedy, yes. But don’t blame the parent. If the lawnmower had been equipped with a safety feature called the “no-mow-in-reverse” feature, this accident and thousands of others never would have happened. Trial lawyers across the United States are pursuing personal injury claims against the lawnmower manufacturers in product liability or product safety cases in an effort to make manufacturers equip their mowers with these safety devices. There have been mixed results, but one of the greatest accomplishments that some personal injury litigation can sometimes have is to force a manufacturer to make its product safe before selling it to the public, and I hope these lawnmower lawsuits will, ultimately, effect a change in that regard. 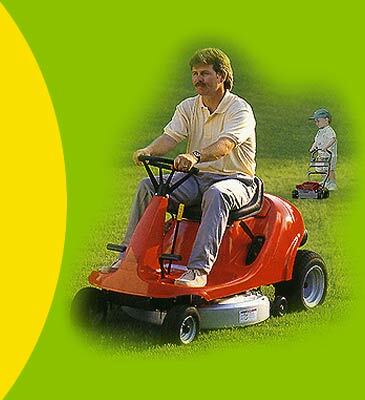 An easy solution would be for lawnmower manufacturers to fix their riding lawnmowers by including the “no-mow-in-reverse” safety feature. Then hundreds of Georgia kids would be spared a devastating injury such as losing a leg or a foot and then having to go through life disabled. I and other trial lawyers will continue to pursue these cases until these manufacturers listen and, hopefully, we’ll save a few Georgia children in the process.